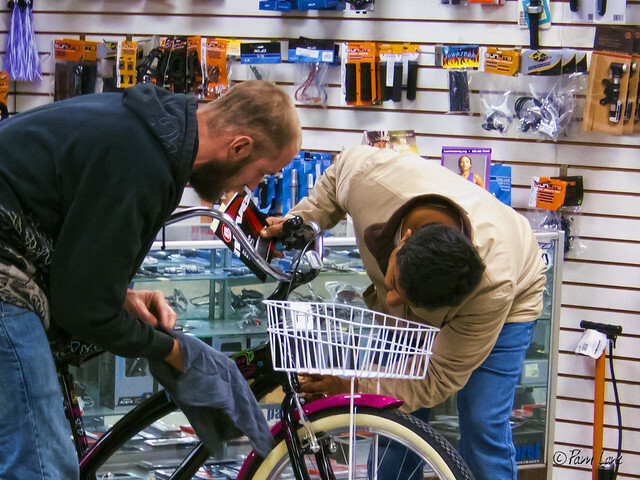 Whenever I need bike repairs, or parts, or just questioned answered, I stop by Russell's Bike Shop on Firestone Blvd. 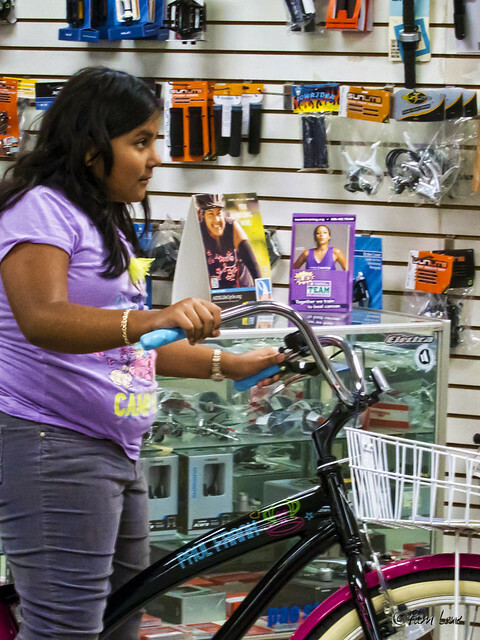 Tonight, this young girl's whole family was there to pick up her new bike—as soon as the last-minute dusting and polishing was complete. Russell's was opened in 1944 by Russell and Freda Wagy. For more about the shop's history, see the Downey Patriot's article Looking back on Russell's Bike Shop.